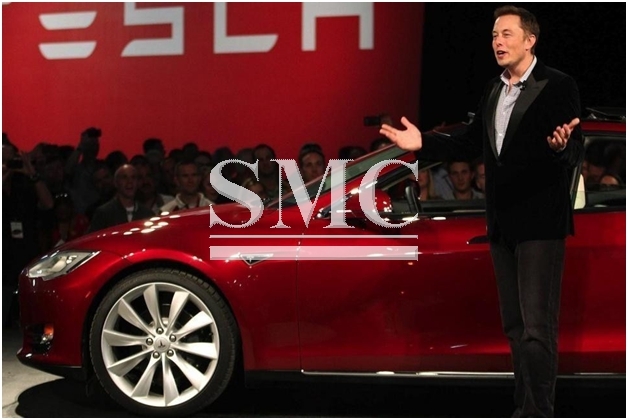 Home>News of Construction and Building > Elon Musk – how influential is he? Elon Musk – how influential is he? Let’s get the answer out the way quickly; Elon Musk is incredibly influential. Musk is leading the way for clean energy. He is arguably the most talked about CEO in the world right now and there is a very real chance that the ideas and endeavours of this man are going to dictate the future of you and me. This article is going to briefly identify and give a synopsis of some of probably his 3 most influential investments thus far. It would be foolish to start with anything but Tesla. Founded in 2003, Tesla has gone onto become one of the most talked about and sought after automotive names in the world, due to its commitment to clean energy. From the start Elon Musk has been a key player in the company and is now the CEO, with a 22% share of the company, making him by far the largest shareholder of the corporation. Tesla, led by Elon Musk are revolutionizing the motor industry, paving the way for electric vehicles to one day be the common car and fade out the need for fossil fuel dependent motor vehicles. Believe us when we say this, the shift is happening at a staggering pace, the Model 3 is by far one of the most eagerly anticipated vehicles in history, considering it’s not due for release until mid to late 2017, it’s already received an incredible 400’000 pre-orders. It’s estimated that vehicle orders so far accumulate to approximately $10 billion. The world’s biggest automotive companies have felt the presence of Tesla and are being forced to innovate their own electric cars – as of yet, none have come close to threatening Tesla’s dominance. The leading provider of solar energy in the United States, Californian based SolarCity are on a mission to shift consumers from utility based energy to that of solar. The company was founded in 2006 and at this moment, employs over 13’000 people. Although not a CEO or founder, Elon Musk has still been a major figurehead in the development of the company. He is currently the chairman and it was Musk who suggested to his cousins and current CEO’s about the potential of a solar company and has since provided them with support. However, with the rapid progression of Tesla, Musk now wants an even bigger hold and position within the company, which explains why Tesla Motors and Solar City together announced the former would be purchasing the latter, in a $2.6 billion merger deal. The deal is expected to be finalised and announced in November 2016. The collaboration does make perfect business sense. Okay, so, if Elon Musk’s companies can’t save planet earth, then he is just going to fly us all to Mars instead. Unlike Tesla, Elon Musk has been the CEO of Space X from the very start, so if you asked him which company meant the most to him personally, he would probably point you in the direction of Space X. The business goal of Space X is really quite simple, to make humans a ‘multi-planetary’ species, Elon Musk wants to be the main that pioneered humans capabilities of living on multiple planets. In September 2016, Elon Musk announced Space X through the Interplanetary Transport System would carry at least 100 people to Mars and return more passengers. The company currently employs over 5’000 members of staff to pursue Musk’s ambition of having 1 million people living on Mars by 2035, through the utilization of thousands of rockets. Musk is famously quoted as saying “I’d like to die on Mars, just not on impact’. Whatever, your opinions of Musk, whether he is just in it for the money or he genuinely wants to be the man to save the human species, there is no denying the innovation and courage of this man is of great benefit to planet earth.